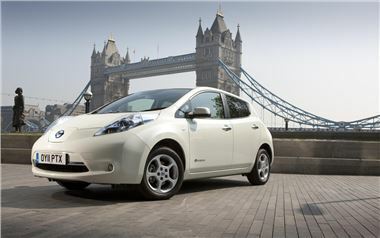 Only a tenth of planned electric vehicle charging stations are up and running, according to a BBC report. According to the story only 407 of the planned 4,700 charging stations planned for 2011 are operational, with delays blamed on difficulties in laying cables. Additionally, two-thirds of towns with a population of over 150,000 have no charging infrastructure whatsoever. Many mainstream manufacturers are now pushing their pure electric models, with Mitsubishi, Peugeot, Citroen and Nissan all now selling electric vehicles, or EVs. People anxious about the range of electric vehicles will almost certainly be concerned by the lack of charging points, and this news may well have an adverse effect on the popularity of pure EVs. The Department of transport aims to have installed 9,000 charging points by 2013, having invested £30m in infrastructure development, but due to issues at a local level with installing the required cables, progress is slow.